Today is Sunday, in Barcelona the sky is grey and it seems like it might rain any minute now. As we go through all our paperwork, we decided to share some different paperwork with you. 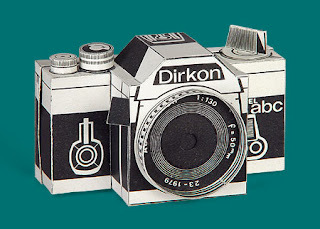 Follow us to the website from David Balihar to make your own Dirkon pinhole camera.